Congratulations, you bought a new truck! Now you need a little something to make getting in or out safe, easy, and cool. That's where Bully 6" oval stainless nerf bars come in. They are perfectly sized to complement today's bigger trucks and the side, non-slip step pads keep you on your feet in rain, sleet, or snow. Since no one wants dull, bland looking stainless steel side steps, Bully polishes these bars to a mirror finish. 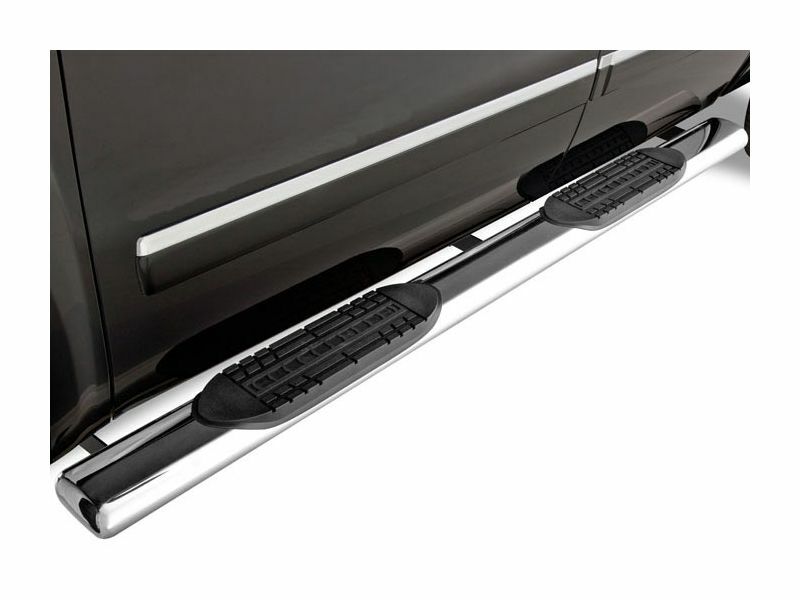 All the step pads have a non-slip tread pattern to help you keep your footing entering or exiting your truck. Don't worry about a complicated installation. Each set of 6" step bar brackets is custom designed to give you the best fit and easiest install. You just bolt them up to factory mounting points. Depending on how distracted you are by the shine, it should take you less than an hour to get back on the road. Get yourself a set of Bully 6" oval nerf bars and make riding in you truck a little easier for the vertically challenged people in your life. Nerf bars from Bully offer an easy, at home installation. The included installation instructions are clear and easy to follow. If for some reason you want to chat or get a question answered, feel free to give us a call. We are here 7 days a week.